When you’re visiting California, you have all sorts of options. Up here in the mountains you’re going to get some great picks for skiing, hiking, and sightseeing. There are several great towns to visit near the Gold Country Campground Resort like Jackson, for example. Located only 10 miles away it is a great place to shop and explore. Where Jackson is located was at once inhabited by the Northern Sierra Indians. After the discovery of the region American pioneers began to settle the area. Jackson itself is named aver Colonel Alden Jackson, a popular local lawyer, and was founded in 1848. Pioneers began to flood the region after the discovery of gold. It was a supply and transportation center for towns nearby and a convenient stop. Shortly after its founding it became the county seat of Amador County. 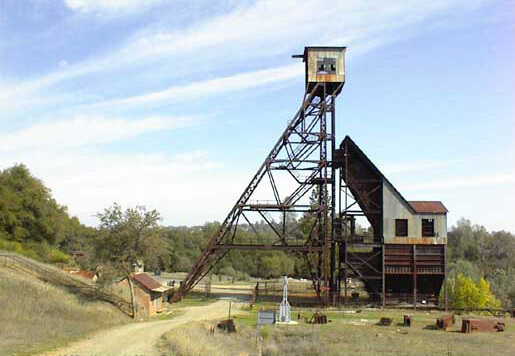 One of the darker parts of Jackson’s history was the fire at Argonaut Mine which saw the death of 47 miners. If you’re interested in the historic parts of Jackson, California, you can certainly visit the Amador County Museum and slake your desire to know more. If you want to know more about the deepest gold mine in the United States, before it was closed, then visit the Kennedy Mines. Check out the Jackson Rancheria Casino for some gambling and entertainment. You’re spoiled for choice if you want to do some shopping at places like the Biggest Little Kitchen Store, the Celtic Knot, Claypool’s Gift and Home, and more. The Gold Country Campground Resort near Jackson, has been around since 1956 as a place where visitors could discover the rich tradition and rugged beauty of California’s Gold Country. We offer a variety of accommodations and amenities including start of the art Wi-Fi. Reserve your spot today, and make Jackson a day trip for the whole crew!